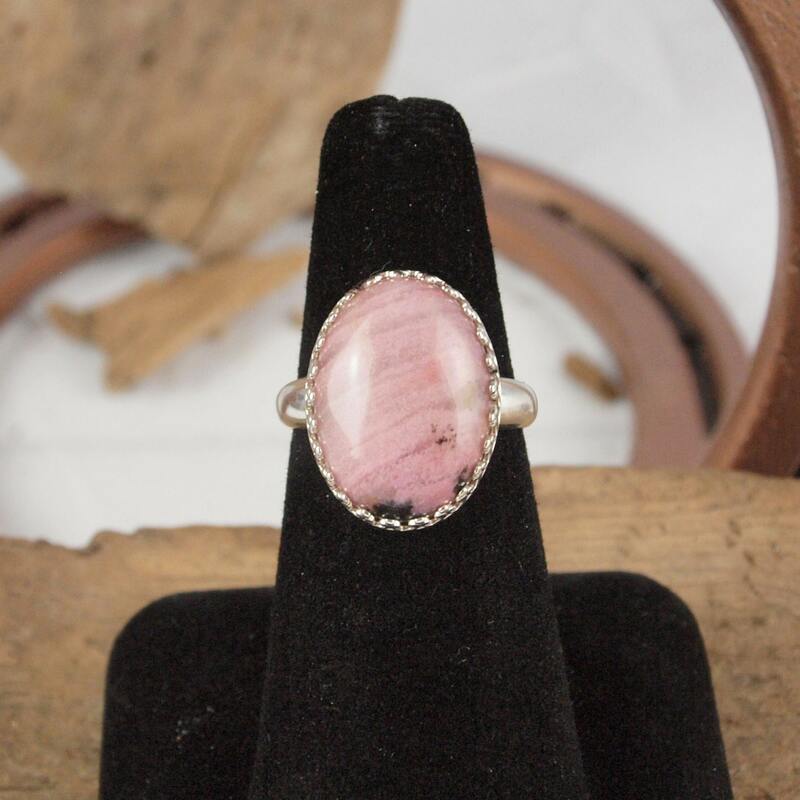 Sterling Silver Ring -Natural Pink Rhodonite Ring - Statement Ring: This eye catching sterling silver statement ring features a natural pink Rhodonite cabochon. 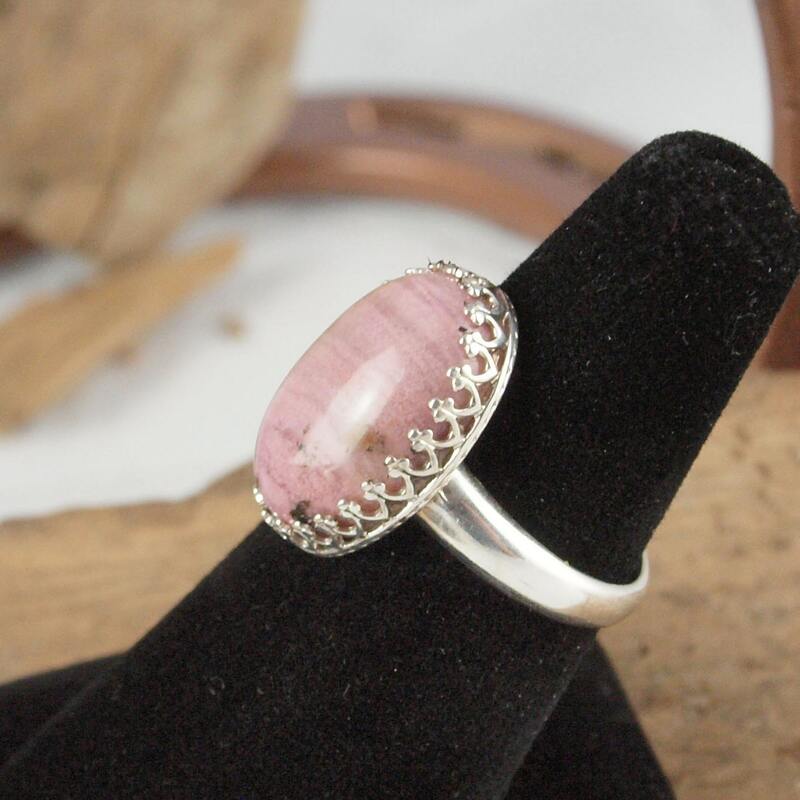 The Rhodonite stone is 13mm x 18mm. The band is 3mm thick on the bottom and 4mm thick where it meets the setting. 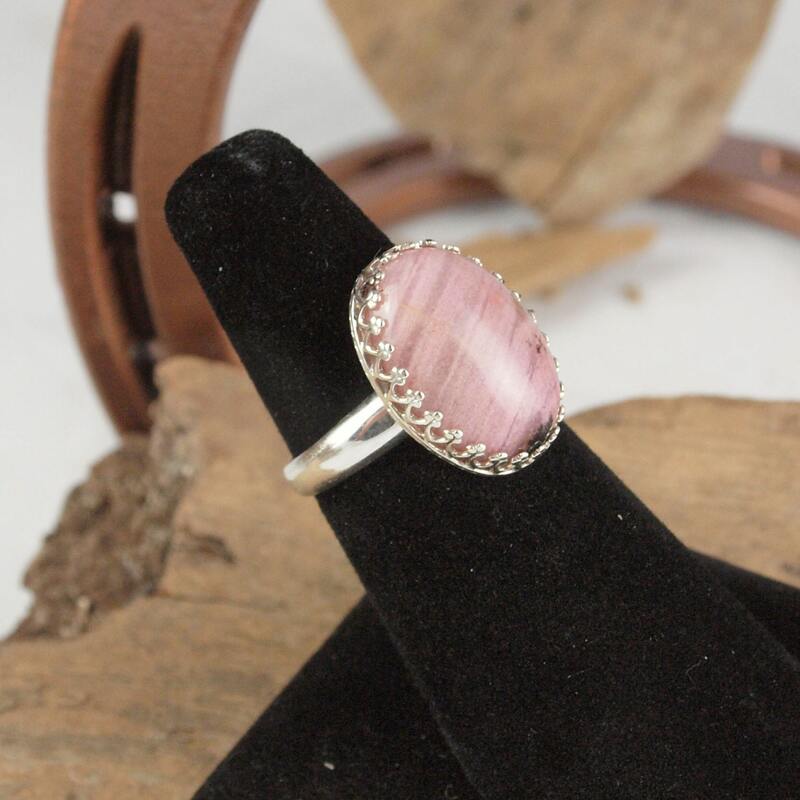 The Rhodonite was shaped and polished by hand in our workshop in Montana! 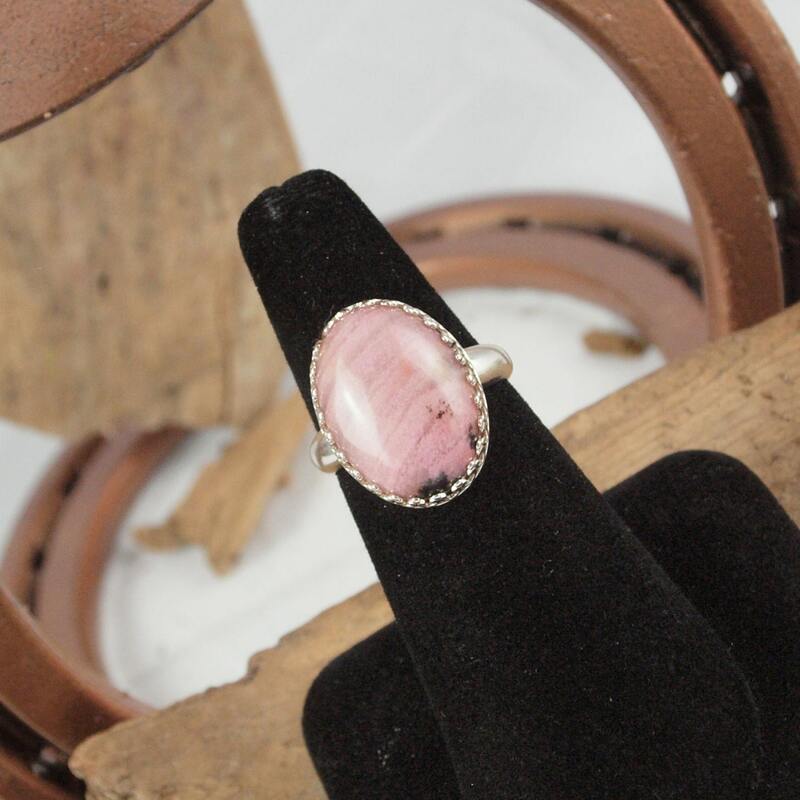 We love the pink color that is set off by a touch of black in the stone! 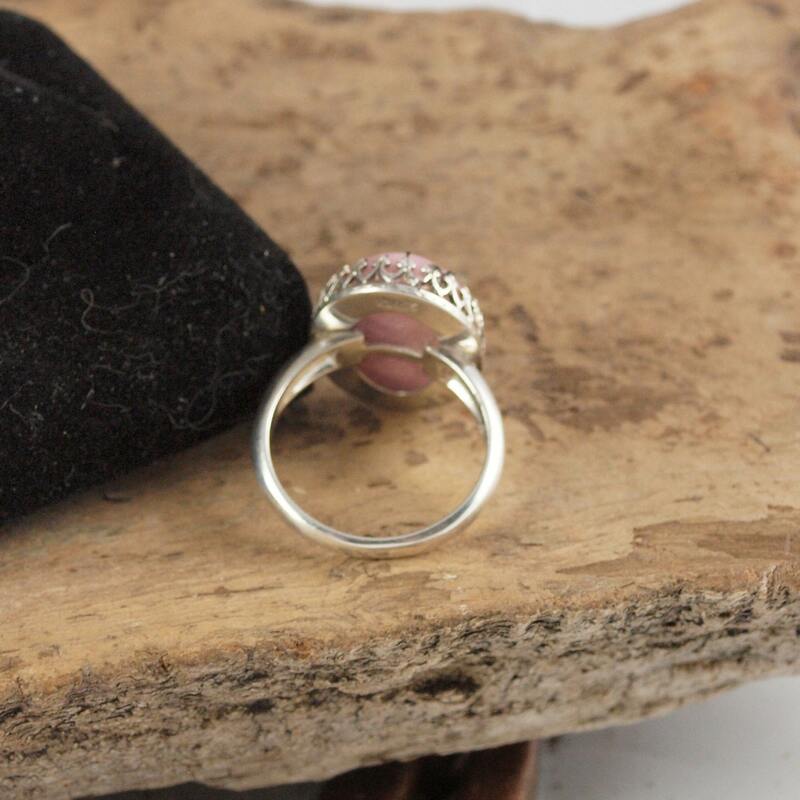 This stunning ring will make a great gift idea! As with all our rings, we will ship this ring and an elegant gift box for no extra charge!